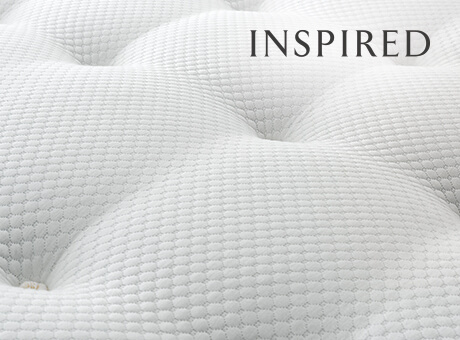 The Inspired Collection is exclusive to independent bed specialists across the UK. On offer are our trademark support systems, Mirapocket and Miracoil, and a choice of sumptuous fillings for more personal comfort. 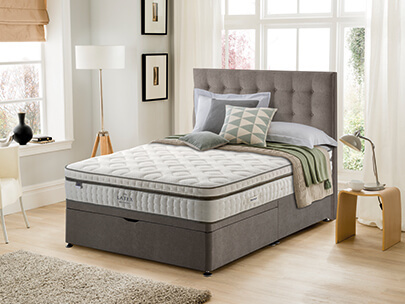 To find your perfect Inspired Collection mattress, visit your local retailer today. 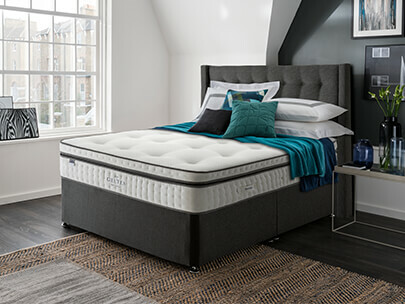 Engineered using natural latex properties, this non-allergenic selection promises resilience, durability and flexibility to allow for an undisturbed night's sleep. 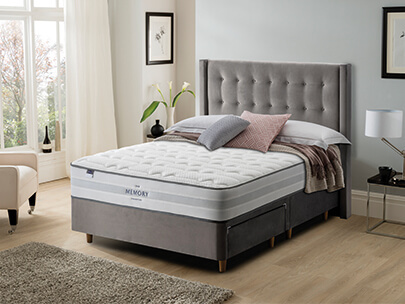 The Inspired collection provides a stunning selection of beds and mattresses which offer everything Silentnight is famous for: quality, comfort and choice. On show are our trademark Mirapocket and Miracoil support systems that are zoned for improved spinal alignment. 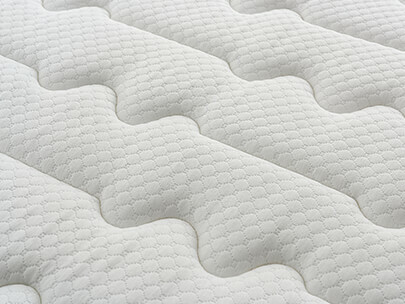 You can also choose from a variety of comfort layers, including; Eco Comfort, Memory Foam, Geltex and Natural. 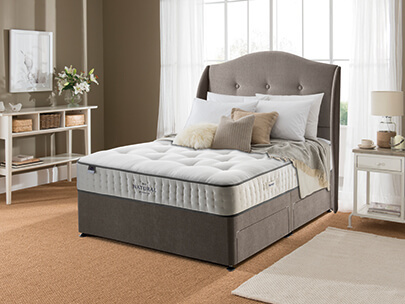 There’s a bed for every type of sleeper, with firmness ratings tanging between medium/soft to firm. 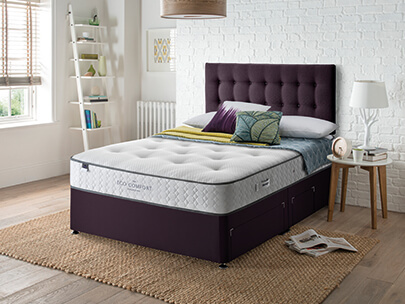 It’s not just great comfort on offer either, with a wide choice of stylish divans with handy storage options to choose from too. Both our Miracoil and Mirapocket support systems are zoned and have been scientifically proven in a study with the University of Central Lancashire to help align the spine and combat aches and pains. By providing extra support to the hips and shoulders, your spine will align in a natural way, which helps improve back posture and reduces the risk of back pain - something a third of adults suffer from. Miracoil is an advanced open coil spring system that’s typically firmer and reduces partner roll-together by maximising sleeping space. Mirapocket offers premium comfort via independently nested pocket springs that respond to your individual weight and movement. Everyone has different and unique sleeping habits. 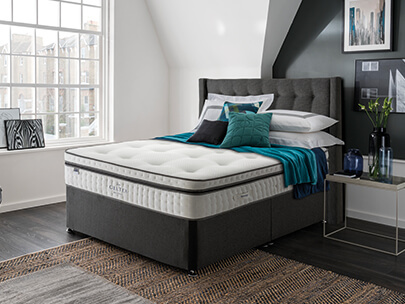 The beauty of the Inspired Collection is that it features a host of comfort fillings that have been designed to complement your individual preferences. 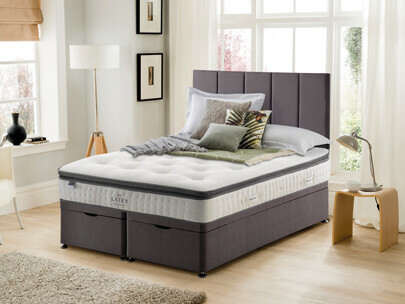 For a breathable sleeping experience complete with support where you need it the most, go for a Geltex comfort filling which will help you sleep better and wake-up feeling brighter. Those after pure, indulgent luxury need look no-further than our natural comfort filling that blends the best of cashmere, silk and lambswool fibres. Care for the environment? Our Eco Comfort filling has been made from 100% recyclable plastic bottles, and delivers a refreshing sleep, night after night. We also offer mattresses with a memory foam comfort filling that gives you sumptuous comfort you can blissfully sink into.